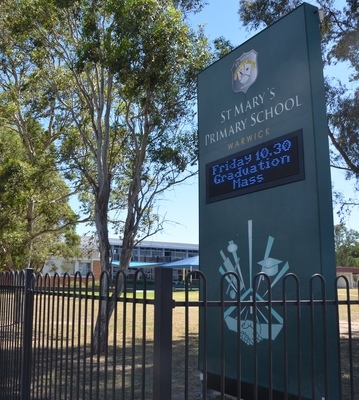 The Catholic Diocese of Toowoomba says there is no timeframe set as yet for a plan to merge the Upper and Lower Campuses of St Mary’s Primary School in Warwick. A draft proposal to move the Lower Campus students to the Upper Campus is part of a master plan for the school but the Diocese has told the media consultation over the plan is ongoing. It is understood the master plan points to ageing buildings, high administration and maintenance costs and reduced student numbers as the drivers behind the potential merger of the campuses. The merger plan has been on the drawing board for some time, including before construction of the Billy Day Underpass beneath Wood Street in 2010, the primary purpose of which was to improve safety for St Mary’s School students moving between the two campuses.